We offer logo design services. Logo stickers are an important marketing tool for your brand. They are so versatile they can stick on just about anything. StickerYou's design tool enables you to make and order the best custom logo stickers in the world. You can determine the exact size, shape, and quantity of logo stickers you require. Get die-cut stickers to the shape of your logo, or design circle, rectangle or oval stickers that encompass your logo. Use our design tool to add text, color or other image elements to your logo such as social media hashtags or website information. Order logo stickers on pages or as hand-outs for give-aways. StickerYou gives you all the options based on what your marketing needs are. 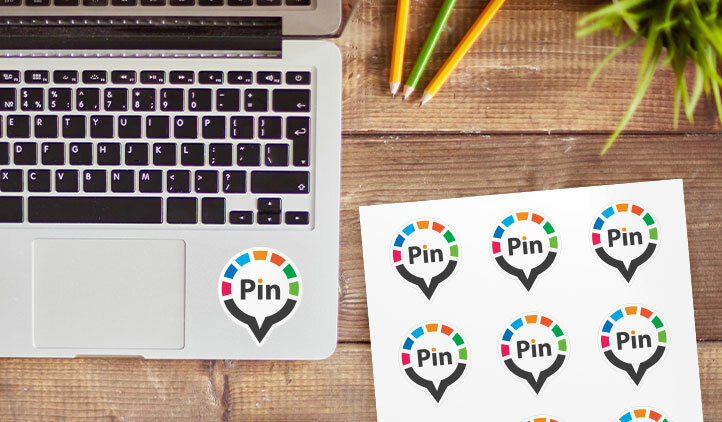 Create your own logo stickers for laptops, business cards, as bumper stickers, or to enhance personalized gifts, or simply to give away to your fans. StickerYou’s stickers are weather resistant, will endure the outdoors and even dishwashers! When it comes to applying, they have 'bubble-free' technology so applying them is always smooth and easy. They stick well but when it comes time to remove them, they remove clean leaving no messy residue behind. Logo stickers will make your brand stick! Q: I have a great business logo but it’s pretty abstract looking, will I be able to get custom logo stickers of its exact shape? A: Absolutely! Every logo can make a great logo sticker! Simply upload your logo or design in our online sticker editor and the exact shape of your sticker logo design will be outlined and ready to cut! Q: I’m starting a new business but have no experience in graphic design, how easy will it be for me to design a sticker? A: Fret not! Even if you don’t have a business logo you can use StickerYou’s online database of shapes and designs to edit them hassle free in our online sticker editor. Change shapes, sizes, colours and add text with the simple click of a button. Any additional text or images you add to your vinyl die-cut will also appear within the border, meaning no matter how many changes you make to your logo your custom logo sticker will always be the exact shape! If you’re still in a jam, we offer online logo design services as well. Q: Can I get a sheet of custom logo stickers? A: Absolutely! Once you upload your logo or design you can choose the size of the logo sticker you need and we’ll show you how many will fit on a page. From there you can decide whether you want your logo stickers to be die-cut to the logos exact shape, or in one of our standard shapes which include circle, oval, rectangle, or square shape. Q: I can order just one business logo sticker? A: For sure. 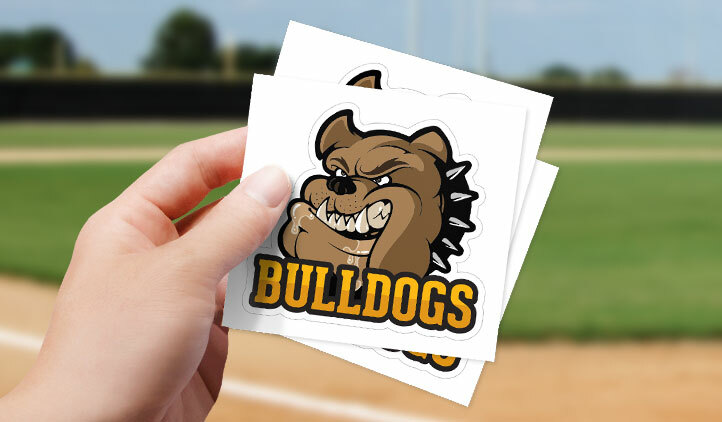 At StickerYou we have no order minimums, so if you want to see what your logo will look like as a sheet, a die-cut single, or a kiss-cut single. You can also order single pages of your sitcer logo design or kiss-cut singles in different materials to determine which one is right for you! Q: I don’t want my die-cut company logo stickers to have a white background, can I remove it? A: That is possible! 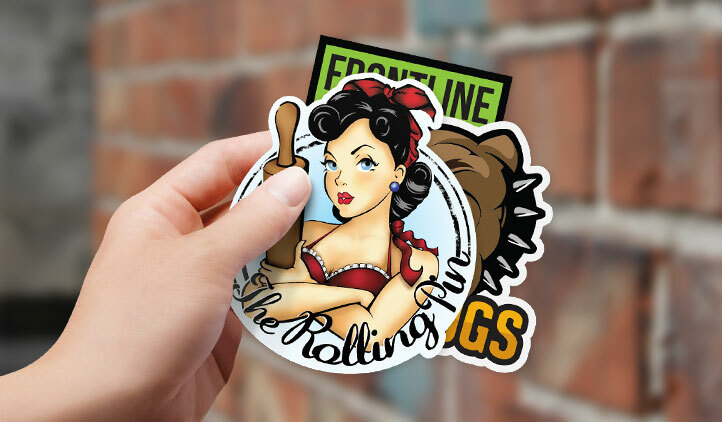 In our online sticker editor simply select a transparent background to get your die-cut custom vinyl decals cut flush to the edge. Q: What makes sticker logo printing through StickerYou more affordable then if I ordered through a local print shop? A: Some local print-shops may offer sticker printing however every step is manual, from design, file preparation, printing, cutting and laminating. StickerYou has developed proprietary system for managing the custom logo sticker printing process which automates all the steps. We can thus produce the stickers at a fraction of the cost a local printer can offer.